Another great post by Lisa Puga. On the wall of my children's bedroom is a picture of Jesus Christ with children from around the world. Every time my seven-month-old daughter sees Him, her face lights up. She moves her whole body with excitement. If I turn away while holding her, she squirms to see Him again. Other pictures hold her interest for about half of a second. Interestingly, my now three-year-old son acted the same way when he saw this picture of Christ when he was a baby. Why does my baby show such a strong emotional reaction to pictures of the Savior? She knows Him. She loves Him. I believe she hasn't forgotten completely the time when she lived with Jesus Christ and Our Heavenly Father as a spirit daughter before birth. Pres. 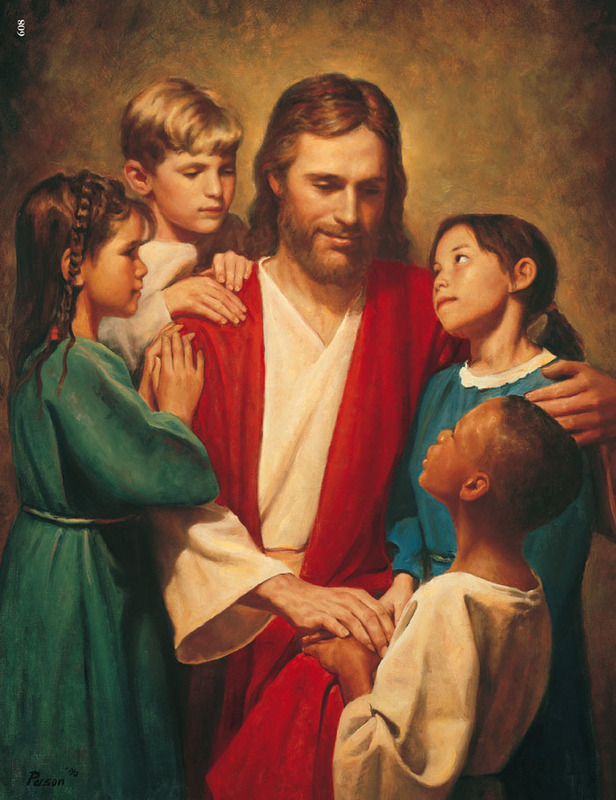 Ezra Taft Benson, a modern prophet, said, "Nothing is going to startle us more when we pass through the veil to the other side than to realize how well we know our Father and how familiar His face is to us." I am so grateful for this knowledge of our divine heritage. God is our Father. He knows us. He loves us. He is not a distant father. Though we may not recall how well we knew Him before this life, we can come to know Him or rather remember Him through prayer, scripture study and service. He will help us recognize His hand in the very details of our lives. His plan provides for lasting eternal happiness for His children. Read more here, here, here, and here. You'll be glad you did.